So here we are, its summer, its hot and our container gardens can really reflect that sometimes. With just a few steps you can revamp those containers and have them looking fresh, new and full of color in no time! Replace any dead or dying plants with fresh new ones that will really create a pop of color and show off the other plants in the container. Make sure to choose plants that can take the same amount of sunlight and water as the other plants that are already in the container. Then add some fresh soil around the roots of the new plants. 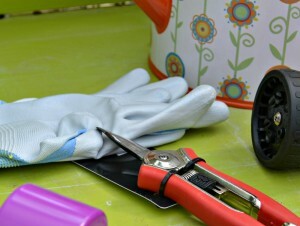 Prune back any overgrown, or long and leggy plants. You can typically cut a plant back to 1/3 of its mass and this will help the plant flush out with new growth and stay much more compact. Keep in mind that by pruning a plant back you take away its way of producing food so you will need to supplement with a fertilizer high in nitrogen and phosphorous. A general purpose fertilizer will do just fine for this, typically at least a 10-10-10. 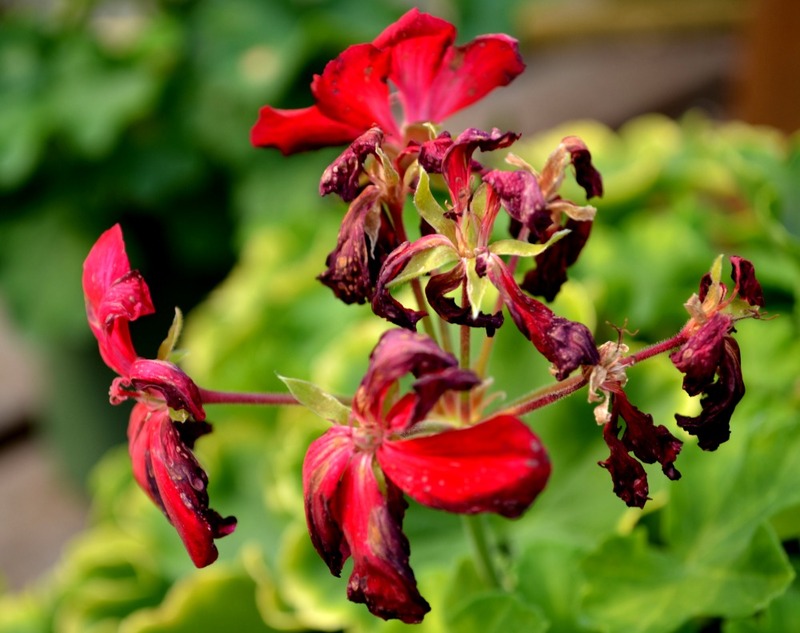 If you decide that you don’t need to prune any of the plants back, or if your plants just need a general cleaning, then a light deadheading to get rid of any old or dead flowers that could create problems is a great step. By removing any old or dead flowers and leaves you greatly reduce the risk of fungus and deseases from occurring on your plants. By now your pots nutrients have mostly been depleted by the plants that are in the container. 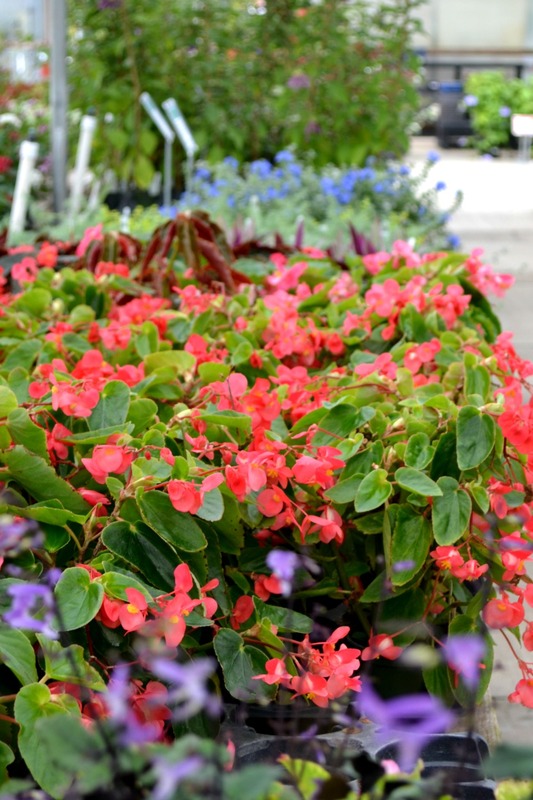 So making sure that you’re fertilizing at least every other week makes a huge difference in your plants health in both flowering and foliage plants. This also helps to make sure there’s a good supply of nutrients for the plants flower, foliage, and root growth. Another important factor to consider here, is adding a slow release fertilizer such as Osmocote to your soil so that every time the container is watered there is a small amount of nutrients being released for the plants. Osmocote typically lasts 2-4 months. 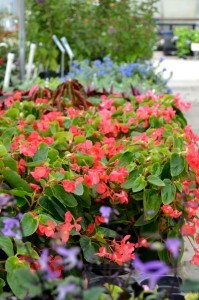 So if you’ve had your container planted since the spring it’s definitely time to reapply it. 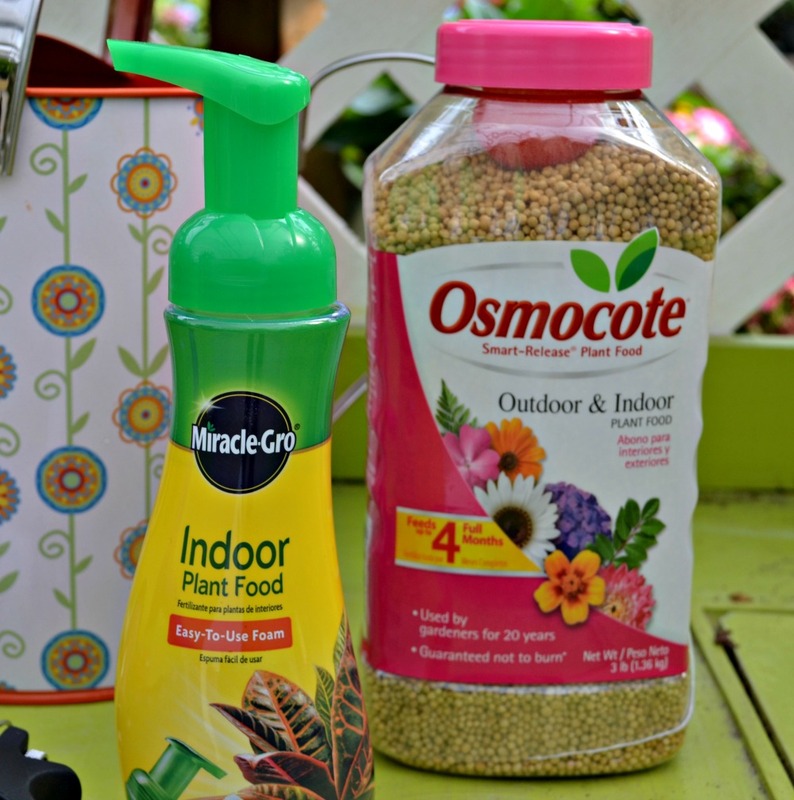 Osmocote is a supplement to your liquid fertilizer routine that you have every other week. 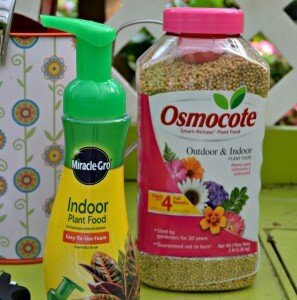 Osmocote should not be your plants only source of nutrients though. So we recommend you put down Osmocote every 2-4 months and still fertilize with a liquid fertilizer every other week. Although we haven’t reached the 100 degree temps yet, we’ve had plenty of 90 degree days. This means that your plants are thirsty just like us when we’ve been in the heat all day. Plants may be pot bound at this point in the season which also makes them dry out faster and more often. So making sure you check your pots at least twice a day for water is critical. 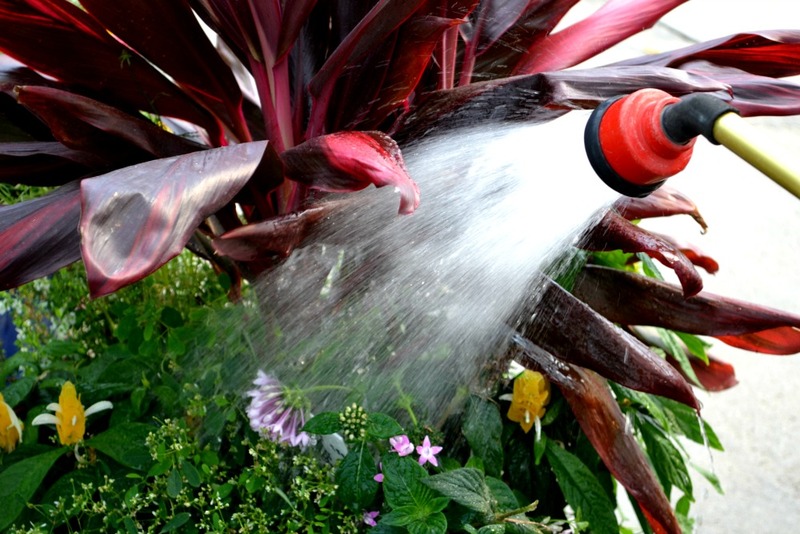 When watering make sure you water thoroughly and water all parts of the container and not just one spot. Follow these above tips and your sure to keep those beautiful containers going all summer long!